A horrifying video of a landslide swallowing up the city of Shenzhen in southern China shows entire buildings being gobbled up in seconds. Meanwhile, the number of people missing has jumped to 91, China Central Television (CCTV) reports. The disaster occurred in the Hengtaiyu industrial park in Shenzhen, Guangdong province, on Sunday morning, destroying a total of 22 buildings and causing a gas pipeline explosion. Shocking video footage from CCTV shows an entire multi-level building collapse in under five-seconds. At first, people are in disbelief, but are then seen running away from the landslide seeking safety. China’s Ministry of Land & Resources has blamed the disaster on a collapse of piled-up construction waste and soil residue in the area, state media said. It also cited a local emergency office giving a sharply increased estimate of the number of people missing. The figure had previously stood at 59. Oregon – Sinkholes and creeping mud put three homes at risk, pushed a barn off its foundation and left homeowners fearful of what will move next. As the rains continue, they say only one thing is clear: No one is coming to the rescue. A neighborhood of seven homes overlooking the Tillamook River are banding together after extreme weather has caused their hillside to shift, sending bits of road, mud and trees onto their homes and barns. Seven families in a cluster of hillside homes above the Tillamook River spent the past week watching the two roads they live on slip, buckle and tangle into a slide of rocks, mud and trees. It began Monday as a few little cracks on Burton Hill Road, just outside Tillamook. By Wednesday the cracks had collapsed into a quarter-mile series of sinkholes and creeping mud that put three homes at risk, pushed a barn off its foundation and left homeowners fearful of what will move next. No one is coming to the rescue. Morgan Kottre, 27, said she and her neighbors – some of them relatives – have been told by county, state and federal officials that they don’t qualify for assistance because Burton Hill Road and the lower Hillside Drive are private roads on private land. Same story from at least one insurance company. Kottre said a representative told one family the devastation qualifies as an “act of god,” which the insurer doesn’t cover. Storms over the past week that have brought flooding and landslides across northwestern Oregon. On Saturday afternoon, blizzard conditions closed three highways in Southern Oregon. The extreme weather has caused at least two deaths in Oregon and federal officials set early damage estimates at about $15 million. Tillamook County was among the 13 counties where Oregon Gov. Kate Brown declared a state of emergency. In fact, not far from Kottre’s home on Saturday night, the town of Oceanside was cut off as the only road out of town was closed due to a failed culvert. Portland, Oregon – Floods, landslides, road closures and even a sinkhole brought about by storm and the next wave of heavy rains is expected by tuesday. PORTLAND, Ore. — Monday was the wettest calendar day in recorded history in Portland, and the rain is expected to stick around for days. KGW meteorologist Matt Zaffino said nearly 2.7 inches of rain on Monday tied a record for one day, from 12:01 a.m. to 12:00 a.m. The previous record was set on Nov. 19, 1996. More rain is forecast for Monday night, and Zaffino said the record is sure to break. The storm that caused floods, landslides, road closures and even a sinkhole is expected to bring its next wave of heavy rain on Tuesday, possibly during the evening commute. People should expect delays in every mode of transportation in the metro area for the next several days, according to the Portland Bureau of Transportation. Authorities were offering sand bags to any area residents who need them. Rivera said 5.61 inches of rain have fallen so far this month, with three inches falling within a 12-hour period. The December average for rainfall in the metro area is 5.49 inches. KGW Meteorologist Rod Hill said said the worst of the storm has not even hit yet. That will likely happen on Tuesday night and continue into Thursday. New Delhi: Several tourists on had a narrow escape when a part of a mountain near Chandigarh-Manali highway collapsed. New Delhi: Several tourists on had a narrow escape when a part of a mountain near Chandigarh-Manali highway collapsed. The 31-second video, recorded by a mobile phone camera, shows tourists running for their lives. 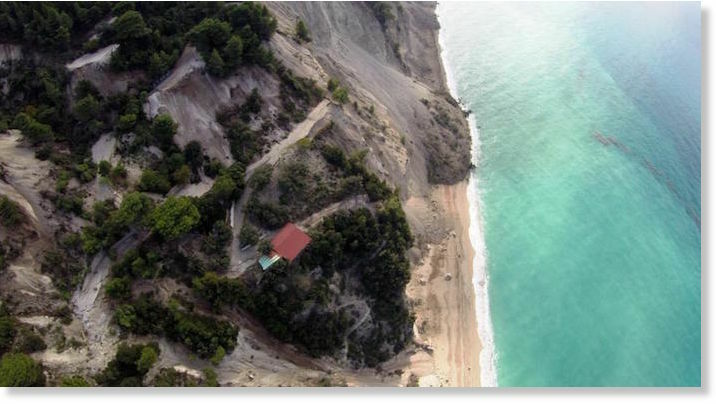 Initially, it was said that the landslide was caused due to an earthquake today in the region, but later it was clarified that the incident has no connection with the earthquake. JAKARTA: A landslide triggered by torrential rains on Thursday engulfed a village in western Indonesia, burying 18 people, an official said. Three have been found dead and rescuers are searching for the bodies of 15 others after the landslide hit the village of Lebong Tandai on Sumatra island, a hilly area known for gold mining. 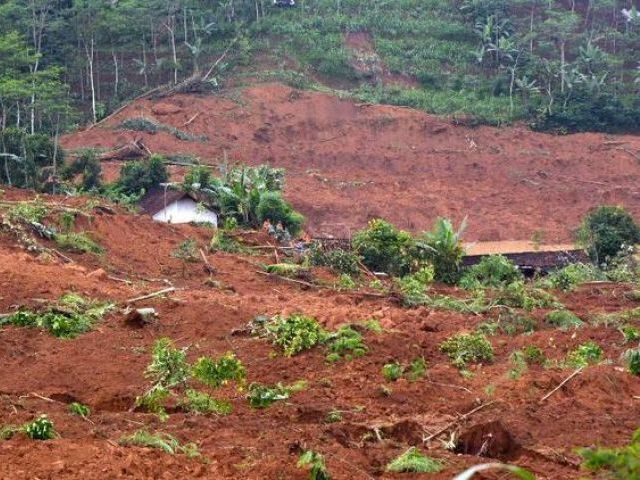 Several houses were buried when mounds of earth and rocks surged down a hillside in the early hours, said disaster agency spokesman Sutopo Purwo Nugroho. Torrential rains have caused landslides in parts of West and North Sumatra, cutting off access and disrupting economic activity. Torrential rain has caused landslides in parts of West and North Sumatra, cutting off access and disrupting economic activity. A 150-meter stretch of the highway connecting West Sumatra and Riau in Jorong Sopang, Pangkalan Koto Baru, Limapuluh Kota regency, was engulfed by up to a meter of floodwater on Sunday at 5 a.m. local time. Limapuluh Kota Disaster Mitigation Agency (BPBD) head Nasriyanto said the flooding was triggered by the overflowing Batang Manggilang River. “Only large trucks were able to pass, resulting in other vehicles from Pekanbaru and Payakumbuh backing up 2 kilometers for eight hours,” Nasriyanto told The Jakarta Post on Sunday. He said the heavy rain that had drenched the region in the past three days had triggered floods and landslides in a number of locations in the regency. At least 500 homes were engulfed by over 50 centimeters of floodwater and eight homes were reportedly damaged by a landslide on Sunday morning. Since 1995, weather disasters have killed millions of people & left billions injured & homeless. FILE: A flood-affected resident swims through floodwaters in Kalay, upper Myanmar’s Sagaing region on August 3, 2015. Relentless monsoon rains have triggered flash floods and landslides, destroying thousands of houses, farmland, bridges and roads with fast-flowing waters hampering relief efforts. Picture: AFP. GENEVA – Weather-related disasters such as floods and heatwaves have occurred almost daily in the past decade, almost twice as often as two decades ago, with Asia being the hardest hit region, a UN report said on Monday. Since 1995, weather disasters have killed millions of people, left billions injured, homeless or in need of aid, and accounted for 90 percent of all disasters, it said. A recent peak year was 2002, when drought in India hit 200 million and a sandstorm in China affected 100 million. But the standout mega-disaster was Cyclone Nargis, which killed 138,000 in Myanmar in 2008. A portion of Vasquez Canyon Road remained closed indefinitely Friday after a landslide prompted buckling and significant damage along a 2-mile stretch in the Canyon Country area. “This isn’t just the road; it’s the mountain itself that’s moving and it’s pushing the road up,” said Paul Funk with L.A. County Department of Public Works. The roadway was closed Thursday between Lost Creek Road and Vasquez Way after public works officials first noticed the shift around 10:30 that morning. The closure was said to be indefinite and would likely last for “a long time,” Funk said. In less than 24 hours, the roadway changed from appearing slightly tilted to being very badly damaged. More than half the road was lifted some 15 feet in the air, with dirt from the neighboring hillside sliding underneath and causing significant cracks. 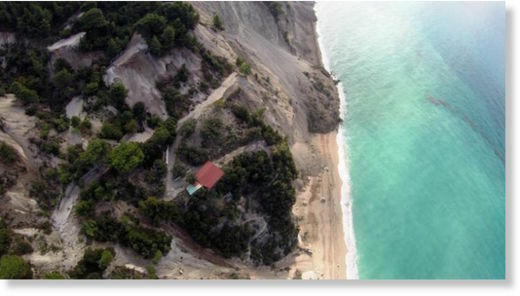 The moment of the earthquake and the large landslides were captured on video by a fisherman whose boat was just offshore when the earth shook. 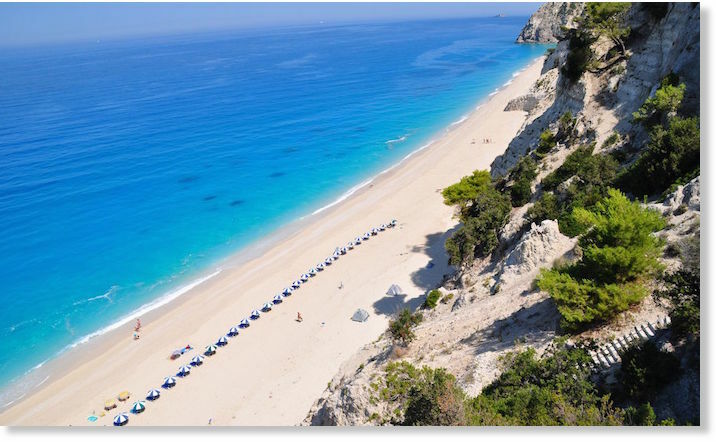 Following the earthquake, the entire landscape of the area changed, leaving much of the area which once occupied sunbathers and beach towels, gone. 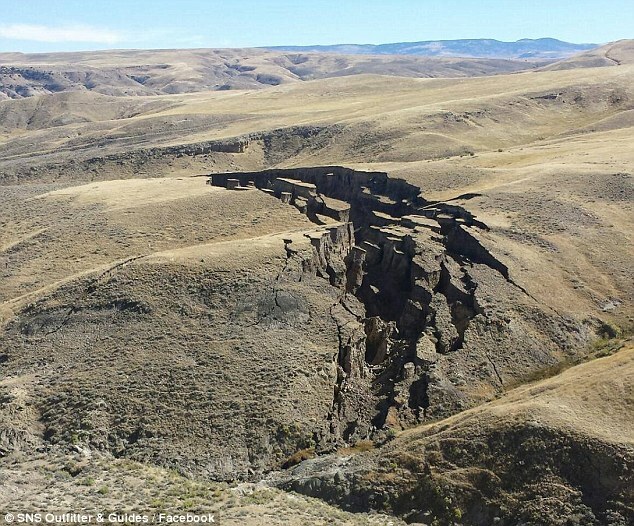 A gigantic ‘crack in the earth’ has opened over Wyoming. The gigantic opening was spotted in the Big Horn Mountains in Wyoming this month. 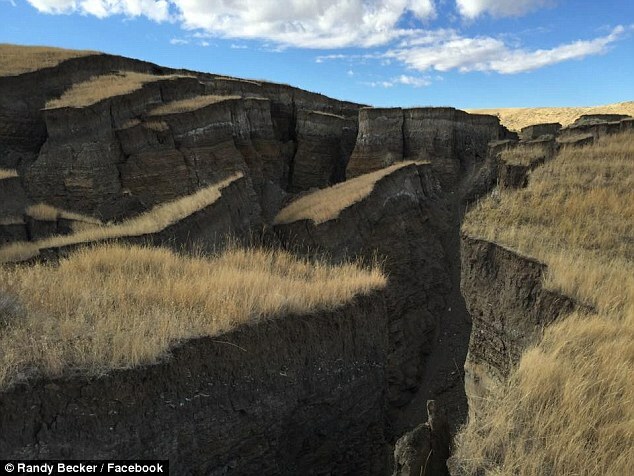 Now, a geologist has suggested it is in fact a ‘slow-moving landslide’ – and warned it could get even bigger.